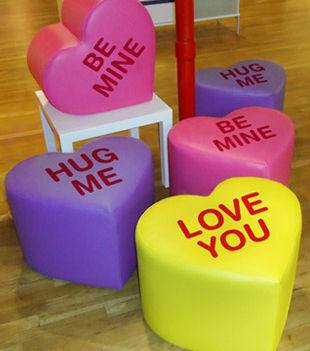 From Jellio, Candy Addict’s favorite candy-themed furniture maker, come “Seat Hearts” – conversation heart-shaped seats/ottomans in a variety of colors and messages. Great for the special person in your life, or just to add some sweet fun to any room, our new Jellio Seat Hearts are the perfect way to show your romantic side. Choose from â€œLove Youâ€, â€œBe Mineâ€ or â€œHug Meâ€. 24â€ wide x 20â€ deep x 17â€ high. Jellio makes the kind of cool furniture I just wish I had the money to buy. Be sure and check out all of their other cool furniture too. While browsing the dwindling remnants of my H.E.B.s Valentine’s Day candy section, Frankford Candy’s Marshmallow Hearts caught my attention. Marshmallows are actually one of the better candies to buy in post-holiday sales because they preserve better than other types of candy. Factoring in the sale, the whole bag cost me a mere forty-nine cents, practically a penny per piece. I probably wouldn’t normally buy marshmallows, excluding Peeps, for any more than that price. These are about an inch at the longest point, and shaped like “hearts.” I put that word in quotations because some look like hearts; others in the beg seemed to have gone through cardiac arrhythmia in the gelling process. 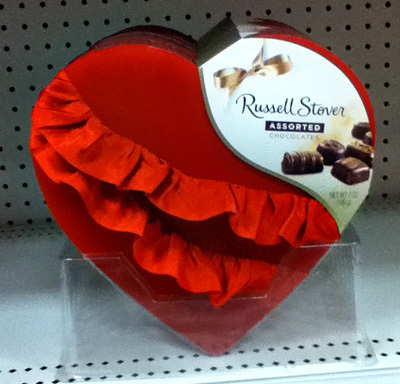 Valentineâ€™s Day is inching closer and closer. And people always say the best gifts are ones given from the heart, but nothing says â€œI love youâ€ better than something from the heart for the stomach. 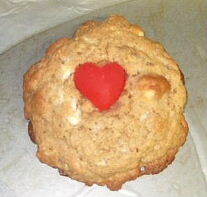 So in honor of all those lovey-dovey cherubs hovering by, here is my February candy recipe of the month. I call it my Lots-a-Luv Cookies. These babies are sure to wow anyone you present them to because they arenâ€™t the sort of things you would just hand over to anybody.